Hmm . . . so far no one has sent me a picture of a finished Block 2, although Kay has sent me three pictures of her Block 2 NOT finished! Are you guys slowing down? I hope not . . . because here’s Block 3. I had written permission from several of you to be late with it, so I don’t feel one bit guilty. I’ve been having some rough times the last few weeks. For my plain version this time, I still used just one color of thread, three strands of floss (you’ll need at least 2 skeins), and used only two stitches: Outline Stitch and French Knots (see links below for help with these stitches). But . . . I did it on a colored background. Just to change things up a bit, and show you that embroidery doesn’t always have to be done on white or off-white. For the fancy version, again I used 8 thread colors, matched to the fabrics I’m making my quilt out of. You’ll need at least 1 skein of each color and possibly more of the greens for this block (those leaves and vines are using a lot of green, aren’t they?). I used three strands for this block as well. And I’ll be back later with the bonus project for Block 3. I think you’ll like this one. It might be my favorite so far. Oh boy!! I better get cracking on block 2. I found your blog a couple of weeks ago – downloaded everything, and promised myself NOT to get started until I finished my current WIP (old UFO) – but you are making it really difficult for me… I am (VERY) afraid that my iron-resolve has crumpled, and I have to start this week-end! 🙂 … thanks for sharing this incredible pattern! Love it! I’m at least half-way done with block 2, but I’m getting there. It’s been crazy here, as you know. So, you definitely have my permission to be late!!! This one looks beautiful, too! Loving it! I think you have done a fabulous job with this pattern. I haven’t gotten to start this project yet but I know it will be one of my favorites when I do. I hope your week is going better than the last few.. 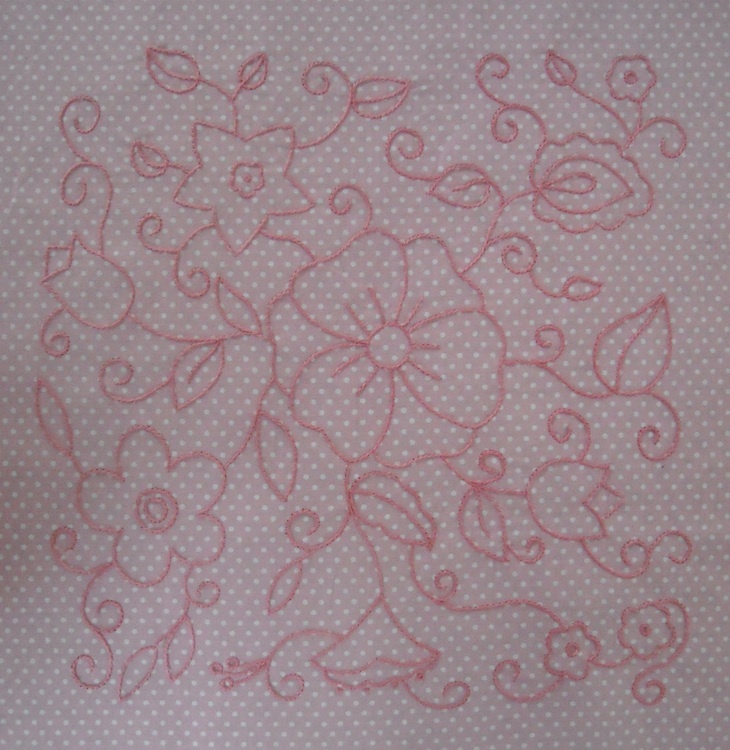 I found your blog not too long ago……Thank you for the pattern, it is so much fun to do! Just one thing, though…..I have now finished blocks 1 to 3! Not to put pressure on you…….but block four would be greatly appreciated! I’ve taken pictures as proof! I am taking Block 2 to finish (about 3/4 done) and Block 3 to start and hopefully finish while I’m in Florida! 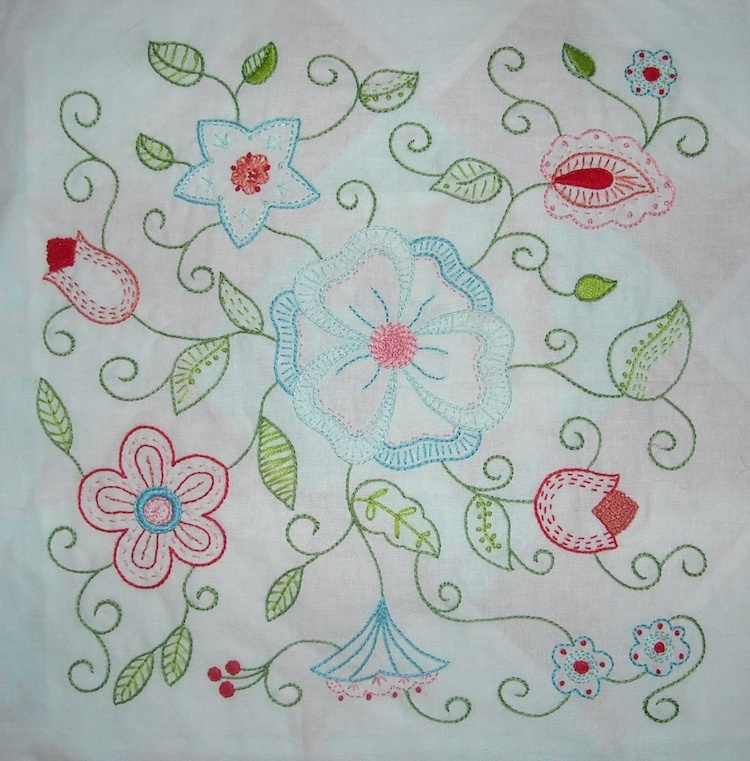 Your wildflower blocks are just lovely and will make a gorgeous quilt. I hope you continue posting them. I am working them up in colors similar to yours. So glad you are back. I hope all goes well for you. Love your 3rd block.